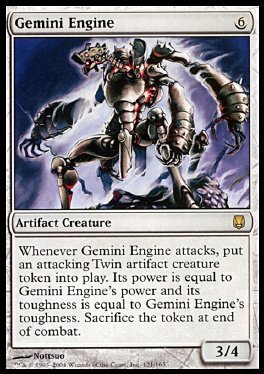 Whenever Gemini Engine attacks, put an attacking Twin artifact creature token into play. Its power is equal to Gemini Engine's power and its toughness is equal to Gemini Engine's toughness. Sacrifice the token at end of combat.